IELTS is “International English Language Testing System” which assesses a person’s proficiency in the English language based on Listening, Reading, Writing and Speaking. It is conducted in more than 600 test centres around the globe. To immigrate to any of these countries on PR basis, one needs to meet its basic immigration criteria. To score required bands, you should join best IELTS coaching and live your dreams.  UK Visas and Immigration awards candidates as high as 10 PR points to candidates who apply for immigration based on IELTS Score.  Immigration department of Canada allots as high as 28 points for having good English skills required to settle down as permanent residents.  Australian Immigration criteria differ a lot from any of the two countries listed above. The minimum band score required to apply for PR in Australia is only 6. The maximum points awarded to IELTS for PR in Australia are 5. They can easily be obtained, so aspirants willing to move to Australia must not neglect it. The process for preparing IELTS counts a lot. It is important to make one’s mind before appearing for IELTS, and then all the possible ways to achieve desired bands should be shortlisted.  The first thing to be considered is a place where proper IELTS coaching. You can find a good centre in their vicinity which is well equipped with all the facilities required for it. 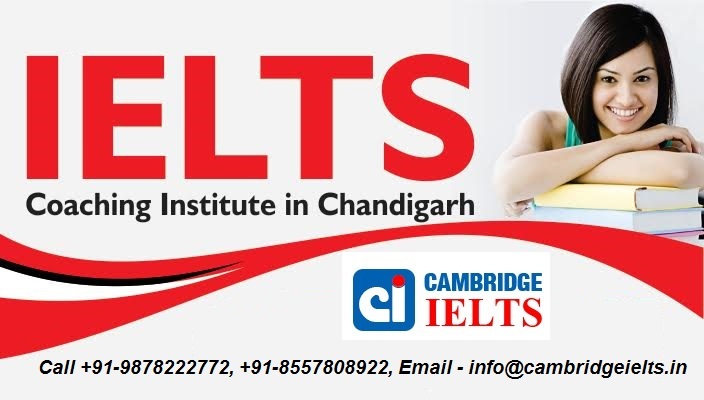 If a candidate is not confident about his/her English and there are frequent grammatical errors, then it is always beneficial to join some IELTS training centre which will clear the basic concepts according to the needs of an individual. Moreover, participating in group discussion and exchanging ideas with your batch mates broadens the horizon of student that is required in the real exam. IELTS coaching institute in Cambridge also provides the study material that helps you to practice thoroughly.  It is suggested that previous year examination papers should be practised. However, the tips and tricks that play a vital role can only be learnt after going through proper IELTS training in order to score 8+ bands in IELTS.  Reading English newspapers and magazines daily and jotting down new words will enrich our vocabulary. The highly recommended dictionaries you can refer are “Oxford Advanced Learner’s Dictionary” or “Cambridge Advanced Learner’s Dictionary” because they provide the satisfactory meaning of the words and also examples of sentences in an easy language.  In addition to that, an individual can listen to BBC news or watch other English programs or movies and try to learn the foreign accent and style of speaking.  The hesitation to speak in English should be shunned and communication with ones who can handle this language very fluently is essential. This will certainly boost up confidence level which takes one step closer to your target.  Collecting feedback from those who have recently taken IELTS can brings immense benefits. We learn about the latest trends occurring in IELTS.  IELTS trainers are also well versed with this information and they do provide latest writing and speaking topics. The people who are 7+ band holders can be very informative and may give certain tips and tricks that need to be followed during your exam.  Last but not least, you should always bear in mind that it is your persistent effort and practice which will help you in achieving your desired band score. Whatever method you adopt, you must not forget to take regular mock tests and accomplish each module within a given period of time. By doing so, you will be able to come to know in which module you are lagging behind and need to work hard on it. It is always advisable that you should begin practising the module you find the toughest. IELTS preparation certainly requires devotion, dedication and hard work. Acting upon the above-mentioned strategies, you will certainly come up to your expectations and of your loved ones.